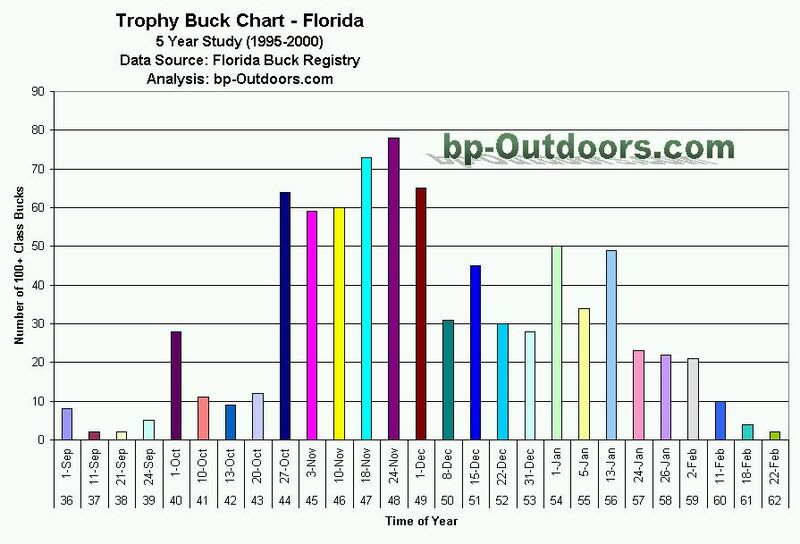 This page contains a summary of Trophy Bucks taken in the state of Florida over a 5 year period. The analyzed data is presented in charts and tables to show which weeks of the hunting season tend to produce trophy bucks. Also, the numbers of registered trophy bucks per county are presented in tables to show which counties tend to produce the greatest numbers of trophy bucks in recent years. The above chart was create from 5 years worth of data contained in the the Florida Buck Registry. The chart shows the number of trophy class deer taken in a given week of the year. Five years worth of data was used to create the chart in order to help identify a trend in the data. The general idea for creating this chart is to show which week of the year has the greatest probability to produce a trophy deer. The weeks with the greatest number of harvests appear to coincide loosely with season openings, the rut and holidays. This seems to partly suggest that the numbers of trophy deer harvested are proportional to the number of hunters in the woods - the begining of each season is when the largest number of hunters are out. Trophy Buck Registry - The Florida Buck Registry was established in 1982 to provide hunters with a record of the number and quality of white-tailed deer taken in Florida. The minimum antler score necessary to qualify is 100 Boone and Crockett inches for typical antlers and 125 for non-typical antlers. The following table contains a list of the top trophy producing counties over the last 5 years. The data also comes form the Florida Buck Registry. These numbers do not include Bucks taken on WMA land. See below for WMA numbers. 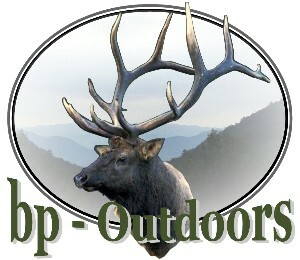 This study included 825 trophy bucks taken in the last 5 years. (1996 to 2000). The highest scoring buck taken in the last 5 years was a 25 point buck scoring 206 (scored in velvet) taken in Green Swamp West WMA on 9-25-1999. The second highest scoring buck was a 16 point buck scoring 179 taken in Alachua County on 11-11-2000.